Toronto, Ontario, October 3, 2017 – Connect Asset Management, Toronto Real Estate Investment firm has launched a unique challenge to the investment community. The company is so confident in the downtown Toronto condominium real estate market that they have personally bet $40,000 CDN on the Daniel’s DuEast Condo Development challenging investors to go head to head with any investment. The winner of the challenge will get to invest in the losers’ profits to a charity of a winners’ choosing. The challenge was personally issued by Matt Elkind, Co-Founder of Connect Asset Management, Realtor & Real Estate Investor. Matt created a challenge video in order to engage the investment community in the friendly wager. “Not investing in downtown Toronto real estate is a huge mistake. If you aren’t investing in the market, you should think again.” Says Matt. “We believe that investing in the Downtown Toronto condo real estate market will yield far higher returns than any investment fund, hands down.” He added. The genesis of the challenge came out of frustration from Matt who is passionate about the exciting market and unlimited investment potential, but continuously unsatisfied with financial experts urging clients to invest in financial markets instead of real estate. 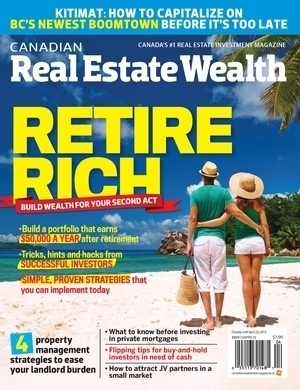 “We work with hundreds of clients in the investment real estate market and we typically outperform even the most aggressive investment funds on the market.” Says Matt “Toronto has an expanding economy and job growth, is a popular destination for new Canadians and is a business centre for the entire country. The demand for housing is increasing faster than new homes can be built and that’s why the rental market is incredibly strong with a 1% vacancy rate; and prices have been consistently appreciating.” Adds Matt. While there are countless ways for individuals to invest money Connect Asset Management is so passionate about the success of the Toronto Condo Real Estate Market they are challenging the investment community to highlight these investments for any individuals’ investment portfolio success. Connect Asset Management works with clients to secure high yield investments in the pre-construction condominium market. We work with you to establish a real estate portfolio that will work for you leading up to and during your retirement. How does it work? We negotiate with the industry’s leading developers to secure deep discounts reserved exclusively for our clients. By promising a high volume of sales in a short period of time, developers extend exclusive incentive packages to us that we can then pass on to our subscribers. We are committed to getting you the best units at the best prices at the best projects. In an attempt to bring transparency to an otherwise muddled industry, we take a data-centric approach to providing you with actionable insight into the world of condominium investing.